Schizophrenia is an organic brain disease, which affects approximately one in 100 people at some time during their lives. It usually strikes in adolescence or early adulthood often transforming promising, capable young people into devastated and vulnerable individuals who requires a high degree of care and support throughout their lives. Schizophrenia disrupts the brain’s ability to perceive and interpret reality to think and to feel. Schizophrenia has nothing to do with split personality or multiple personality or bipolar disorder. Schizophrenia has long bewildered psychiatrists and terrified the layperson, seeming to appear without warning to devastate developing minds poised on the threshold of adult life. Schizophrenia is basically the condition when a person starts having difficulties in interpreting reality. They start to confuse their perceived thoughts with the actual happenings. A person with schizophrenia will show a sudden but significant change in his/her behavior as well as symptoms like delusions, hallucinations, abnormal speech, extremely erratic behavior, an absence of emotional responsiveness, inappropriate emotional reactions, impoverished speech and a potentially dangerous loss of the desire or ability to care for himself/herself. There is still no single cause responsible for schizophrenia. We know that it’s caused by disturbance in development of brain but how and why is still missing. Researchers and scientists believes that it has something to do with either genetics or some head injury in past that causes damage to brain. The troublesome thing is that schizophrenia starts to show signs after several years of above mentioned factors. It is a very complex disease and research is still going on about its causes and potential treatments. Many different approaches have been used to investigate the causes of psychotic symptoms. It is now established beyond doubt that schizophrenia is a biological disorder (although environmental factors have a critical role in the aetiology of schizophrenia). Although many controversies and mysteries exist in schizophrenia research, there is now a huge body of evidence of subtle but crucial differences in brain structure and function in people with schizophrenia. It is only relatively recently that we have been able to study the structure of the living brain, using techniques such as Computed Tomography (CT) and Magnetic Resonance Imaging (MRI). Using these methods, we are able to study the shape and volumes of brain structures, and how these structures communicate and connect with others. Prior to the development of these methods, research was limited to post-mortem studies, which obviously limited the range of clinical populations that could be studied, and also precluded any type of longitudinal study of, for example, the effects of long-term antipsychotic medication, or possible degenerative brain changes. What are the structural brain changes in schizophrenia? The literature on brain structure in schizophrenia is controversial and contradictory, with many regions reported to be structurally abnormal and too extensive to be covered in detail here. However, there are a few key findings worthy of mention. The most common finding in structural imaging in schizophrenia is of enlarged lateral ventricles (the fluid-filled spaces in the brain). There is some evidence that the volume of the brain is reduced in people with schizophrenia, although this is controversial, and of a smaller cerebral cortex (the surface of the brain containing neurons). People with schizophrenia often show impaired performance on tests of frontal lobe function. Functional imaging studies have most commonly reported abnormal frontal lobe activity. 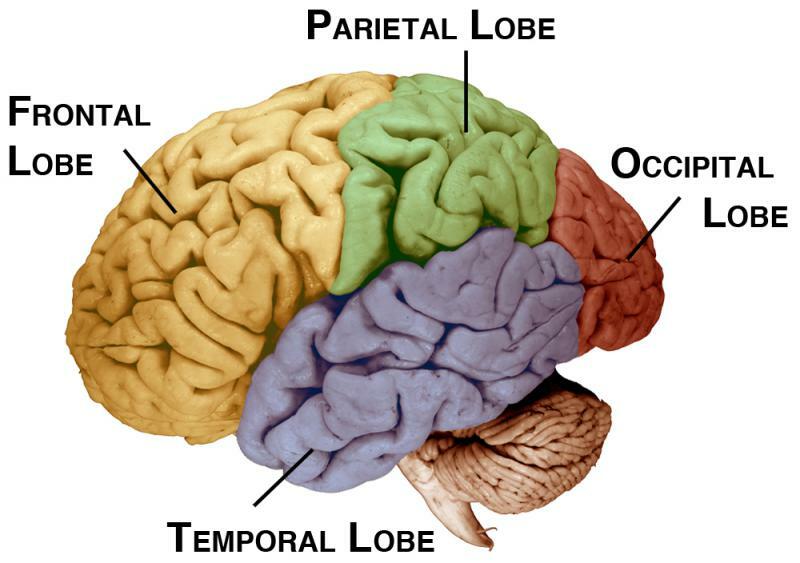 The evidence from structural imaging studies, however, is much less conclusive about the frontal lobes as no consistent pattern of pathology has yet emerged. Some studies have found reduced volume of the hippocampus and amygdala, components of the limbic system, a network of structures involved in the control of mood and emotion. Regions of the Superior Temporal Gyrus (STG), which is heavily involved in language function, has been reported to be smaller in people with schizophrenia. For example, there are reports of reduced volume of Heschl’s Gyrus (which contains the primary auditory cortex), and the Planum Temporale. The severity of positive symptoms such as auditory hallucinations has been found to be associated with the volumes of these language areas. What is the time course of the brain changes – is it a degenerative disorder? Changes in brain structure are present very early in the course of the disorder. Studies of people within their first psychotic episode have shown that they have enlarged ventricles, reduced cortical volume and smaller hippocampi and superior temporal regions. This has implications for the origins of these changes (and hence the disorder), as it suggests that such changes may predate the onset of symptoms. Indeed, it has been proposed that schizophrenia is principally a disorder of abnormal brain development. While some people believe that brain structure in schizophrenia is a relatively static phenomenon, others have suggested that there may be a progressive deterioration with illness duration. There have been a couple of longitudinal studies of people with schizophrenia from their first presentation, which have reported evidence of a subtle atrophic process. The clinical and cognitive correlates of such changes are as yet unclear, although it has been suggested that progressive brain change may only occur in subset of patients with a poor prognosis. This is not purely an academic question, as if progressive change occurs (even if only in a subset of patients), then it may be possible to prevent it. Schizophrenia as a Disorder of Abnormal Cerebral Connectivity? The brain is highly interconnected, with most brain functions requiring the activity of a number of spatially distant structures. Increasingly, people are becoming interested in studying the “wiring” that connects neurons. Stuctural imaging techniques such as Diffusion Tensor Imaging (DTI) and Magnetization Transfer Imaging (MTI), have recently been developed that allow us to study these connecting fibre bundles. Already there is evidence of widespread abnormalities in structural connectivity. This is a rapidly expanding area of study that has implications for our understanding of normal as well as well as abnormal brain structure. It is clear that schizophrenia is characterised by subtle but important changes in brain structure. However, psychotic symptoms and the cognitive deficits associated with schizophrenia reflect abnormal functioning of the brain. 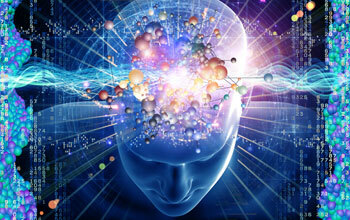 Therefore there is a great deal of interest in studying what is happening in the brain of a person with schizophrenia. Modern imaging techniques such as Positron Emission Tomography (PET), Single Photon Emission Computed Tomography (SPECT), functional Magnetic Resonance Imaging (fMRI), and Magnetic Resonance Spectroscopy (MRS) allow us to study the mechanism of action of antipsychotic drugs, and to identify those regions of the brain that may be functionally abnormal. Communication within the brain occurs via chemical messengers called neurotransmitters such as serotonin (5-HT) and dopamine. There is now abundant evidence that there is a widespread imbalance in brain chemistry in schizophrenia. Early theories of neurochemical dysfunction focused on the dopamine system. There were two reasons for this: firstly, it was realised that some people who used amphetamines developed a form of temporary psychosis that bore similarities to positive symptoms of schizophrenia. Amphetamines are known to act on the dopamine system. Secondly, drugs such as chlorpromazine that are widely used to treat people with schizophrenia were also known to affect dopamine transmission. Therefore the dopamine hypothesis developed that schizophrenia was a disorder of dopamine activity. However, it has become clear that the neurochemistry of schizophrenia is more complex that that. PET and SPECT allow us to investigate neurotransmitter function and to study how antipsychotic drugs work. By injecting subjects with small amounts of a radioactive substance that acts on a specific neurochemical system (e.g. dopamine), it is possible to quantify numbers of neurotransmitter receptors, and to study where an antipsychotic drug is acting. PET and SPECT studies have shown us that although most antipsychotic drugs do target dopamine receptors, modern atypical antipsychotic drugs such as clozapine and risperidone, that may be more effective in improving negative symptoms and cognitive function, also have pronounced effects on 5-HT transmission. Magnetic Resonance Spectroscopy (MRS) is an in vivo imaging technique that is used to study the levels of chemicals in the brain. MRS studies have consistently found lower levels of a chemical called N-Acetyl Aspartate (NAA) in brain regions important in schizophrenia such as the hippocampus and the prefrontal cortex. NAA is believed to be a marker of neuronal integrity, so reduced levels indicate loss, or abnormal function of neurons. Other consistent findings are of abnormal levels of chemicals present in cell membranes such as phospholipids, and compounds such as Adenosine Triphosphate (ATP) that are measures of cellular metabolism and activity. Although limited in terms of separating similar compounds, there is also some tentative evidence from MRS of changes in levels of metabolites of the neurotransmitter glutamate. People with schizophrenia demonstrate impairments on tests of a variety of cognitive functions, including working memory, planning and set shifting (need ref). Techniques such as Positron Emission Tomography (PET) and functional Magnetic Resonance Imaging (fMRI) allow us to “look inside” the brain to study what regions are active (the functional neuroanatomy) while subjects are performing a task. In a landmark study, Ingvar & Frandsen (1972) used PET to study regional cerebral blood flow (rCBF) in people with schizophrenia. They showed that blood flow was lower in frontal regions in these people compared to controls, a finding that has become known as hypofrontality. Studies have moved on from resting-state to look at brain activity while doing a task, and have shown that people with schizophrenia often show reduced activation in frontal regions during tasks known to normally activate them. A recent study has shown that modern drugs may be able to “reactivate” some parts of the brain. Honey et al (2000) used fMRI to study people with schizophrenia during a working memory task. At the time of the first scan, all the patients were taking conventional antipsychotic drugs. They showed reduced activity in frontal regions during the task, compared to controls. Some of the patients were then switched to the atypical drug risperidone. After six weeks all subjects were scanned again. At the second scan, those patients who had been switched to risperidone showed a marked increase in activity in frontal regions. There is a great deal of interest in understanding what is happening in the brain when people are experiencing a psychotic episode. There is evidence that brain function is different when people are actively psychotic, compared to when their symptoms have remitted. For example, Spence et al (1998) found that when psychotic, people showed hypofrontality, however this disappeared when re-scanned when their symptoms had improved. Other studies have looked at brain activity in people experiencing particular types of symptoms such as auditory hallucinations. These studies have consistently shown that people with a history of auditory hallucinations have abnormal activity of frontal and temporal lobe regions of the brain involved in speech and language. Based on these findings, it has been proposed that auditory hallucinations may arise when a person’s brain is unable to “keep track” of their own thoughts, such that they do not recognize what they hear in their head as their own thoughts, but instead perceive them as coming from others. Is Genetics the Root Cause of Schizophrenia? Genetic studies have shown that schizophrenia is, to some extent, hereditary. The research is now progressing in two different directions. Researchers are studying genes that may be involved in the illness, and looking for ways to direct treatment according to different genetic make up (pharmacogenetics). In other studies, brain imaging is used in families with a member with schizophrenia. This kind of research is identifying differences in the brain for people at risk of schizophrenia. It is also providing more information on the relation between the environment and genetics on the causes of illness. If one identical twin has schizophrenia, their co-twin has an approximately 50% risk of developing the disorder. Similarly, having a sibling with the illness confers a 15% risk on other siblings. These figures contrast with a general prevalence rate of 1% in the general population. Therefore, even allowing for the effects of shared environment with families, it is clear that there is a genetic component to schizophrenia although non-genetic factors also play an important part. There is a huge amount of research currently directed at identifying genes that may be involved in the development of schizophrenia. Although many potential “hot-spots” have been identified in the human genome, very few findings have been replicated. Therefore it is unlikely that a few genes of major effect exist that are involved in the disorder. Schizophrenia is likely to be a polygenic disorder, in which abnormalities in multiple genes interact with environmental risk factors to produce the range of schizophrenic spectrum illnesses. Given that schizophrenia is characterized by abnormalities in brain structure and function (links), researchers have used neuroimaging to study whether brain abnormalities may represent the biological expression of possessing a genetic risk to develop schizophrenia. Brain imaging studies have studied many familial relationships in order to investigate the genetic transmission of brain changes in psychotic illness. There is now a great deal of evidence from structural and functional imaging studies that some of the brain abnormalities found in people with schizophrenia (link) are seen in their relatives. Studies of twins with schizophrenia have suggested that brain changes in schizophrenia are partially – but only partially – genetically transmitted. Given that monozygotic (identical) twins are genetically identical, studies of discordant identical twin pairs – where one twin is schizophrenic and the other is not – allow us to study the extent of genetic and non-genetic factors on brain changes. Studies of identical twins discordant for schizophrenia have found some differences in brain structure and function between the schizophrenic and non-schizophrenic members of such pairs, such as reduced cerebral and hippocampal volume, increased ventricular volume, and lower brain activity in the prefrontal cortex in the ill twin. These studies suggest that in addition to having some degree of genetic risk for schizophrenia, there is an additional effect of actually having the disorder. Other studies have investigated people who are believed to carry the gene(s) for schizophrenia, while not being psychotic themselves. It has been shown that these Presumed Obligate Carriers (an example would be a person whose mother is schizophrenic and has a child with the disorder – it is assumed that this person is carrying and transmitting the genetic risk for schizophrenia) have enlarged ventricles compared to control subjects. Many studies have looked at unaffected siblings and have found evidence of abnormal brain structure and function compared to healthy controls. For example, there is evidence of reduced hippocampal and thalamic volumes in unaffected siblings. Some studies have found a linear progression in abnormalities in the thalamus and hippocampus, such that unaffected siblings are intermediate between their affected siblings and healthy controls. There is growing interest in studying offspring of parents with schizophrenia, who are at an elevated risk of developing the disorder themselves. Studies of these offspring have found evidence of abnormalities similar to those reported in people with schizophrenia. For example, compared to offspring of non-schizophrenic parents, these subjects have been shown to have reduced cerebral, amygdala and thalamic volumes, and abnormal neurochemical activity, measured by MRS. It is clear from all these strands of research that alterations in brain structure and function seen in schizophrenia are, at least in part, genetically transmitted. The fact that many of the abnormalities reported in people with schizophrenia are seen to some degree is their unaffected relatives suggests that these changes are not necessarily due to having the disorder, but instead partially represent some kind of genetic vulnerability. It may be that the greater the genetic similarity to a person with schizophrenia, the more brain abnormalities a person will possess. The fact that abnormalities are seen in regions implicated in the pathogenesis of schizophrenia in unaffected relatives, suggest that it is likely that differences in one or two structures such as the hippocampus are neither necessary nor sufficient for the development of psychotic illness. It may be that the difference between affected and unaffected siblings (for example) lies in an overall cumulative degree of widespread brain changes . Ideally, it would be possible to use brain imaging or some other measure (such as neuropsychological function, or brain electrical activity) in order to identify people who are at greatest risk of developing schizophrenia, in order to permit some kind of interventional strategy. However, we are still some way from this as a realistic clinical prospect. Although it is clear that abnormalities exist in the brains of people at increased genetic risk of developing schizophrenia, only a relatively small percentage of these will actually go on to develop the disorder. Researchers are now beginning to undertake follow-up studies of these high risk groups, in order to try to identify measures which distinguish those who go on to psychotic illness, from those who do not. Any brain function requires the activation of structures that may be located far apart. Therefore, in studying brain function it is important to recognize that abnormal activity in one region may not be due to an abnormality in that structure, but may be due to abnormal activity of an upstream or downstream structure. People are beginning to study how activity in one region affects activity in another – functional connectivity. There is already evidence of changes in functional connectivity between frontal and temporal lobe regions in schizophrenia. According to Robin Murray, a professor of psychological medicine at the Institute of Psychiatry in London, symptoms of schizophrenia are apparent well before the first full blown episode of the disease. Murray received the Dean Award from the American College of Psychiatrists (ACP) at the ACP’s 36th annual meeting in San Francisco, in connection with his research on schizophrenia. A patient described his early signs of Schizophrenia in following words, Everything sort of slowed down. I was more and more reserved and I was isolating myself. When someone would say something to me, I increasingly took an abnormally long time to respond. I was sort of a loner, an out-cast and I didn’t have a lot of friends. Major risk factors include having had a relative with schizophrenia and having suffered perinatal complications. As children, persons prone to develop schizophrenia are “more likely to be a bit solitary, their I.Q.s on average are five points lower than the rest of the population, they are more likely to haveminor problems with coordination, and more likely to have social anxiety. Although the people in the study sample didn’t become psychotic until their early 20s, they were deviant from age 6 and became more abnormal as they approached adolescence. Psychosis does not suddenly erupt at age 22 or 23 in them. The advent of brain imaging technology has proven an invaluable tool for scientists to get brain scans depicting the activation of distinct parts of the brain in response to a person’s listening to sounds, listening to speech, thinking of words, and moving fingers on the right hand. One of the most fascinating aspects of Murray’s team work has been the use of such scans to investigate how people with schizophrenia experience auditory hallucinations, which many say are among the most disturbing symptoms of the disorder. One theory of these hallucinations is that people who suffer from schizophrenia mistake internal thinking for audible speech. They decided to look at Broca’s area in the brain’s frontal cortex, because that is where people generate words in their brain. They also decided to look at the auditory cortex within the brain’s temporal lobes to see the contrast between the process of verbal thinking versus heard speech in normal people and auditory hallucinations versus heard speech in people with schizophrenia. The scientists took 12 people with severe schizophrenia and observed their brain function through magnetic resonance imaging. They found that when the subjects reported auditory hallucinations (by holding up a finger), Broca’s area was activated, which would be expected, but also found that the auditory cortex was activated. Even more fascinating was that in people with schizophrenia who listened to audible speech while experiencing auditory hallucinations, there was no additional activation of the auditory cortex. In other words, the schizophrenic brain reacts as if unable to distinguish between its own internally generated speech and actual, audible speech. In normal people, there is activation of Broca’s area when they think of words, but there is no activation of the auditory cortex. When normal people who are thinking words are then exposed to audible speech, there is a dramatic activation of the auditory cortex visible as a lit up area on the MRL if the brains of people with schizophrenia react to imagined internal speech in virtually the same way as they do actual speech, perhaps people with schizophrenia also have trouble identifying their own interior voice as being their own. To test this hypothesis, Murray’s colleagues had people with schizophrenia and normal people speak into a microphone and listen to their own voices slightly distorted. People with schizophrenia were not good at recognizing their own, slightly distorted external voice as being their voice, while normal people quickly identified their voice as their own albeit slightly distorted. Although not conclusive, the exercise strengthened Murray’s belief that in schizophrenia, the brain experiences imagined speech as audible speech and is unable to identify internally generated speech as coming from within the brain. Murray noted that research on twins has revealed a significant genetic element in schizophrenia. Among monozygotic twins, there is a concordance of about 40 percent, that is. if one twin develops schizophrenia, the other twin will also do so about 40 percent of the time. In dizygotic twins and among non-twin siblings concordance falls to about 1%. But despite relatively clear evidence for a genetic role in schizophrenia, the precise genetic mechanisms are many and complex and have yet to be elucidated. What we do know is that there are no big genes for schizophrenia. Based on current knowledge, it appears that variants in a number of disparate genes contribute together to create neurodevelopmental abnormalities that may then put some one at risk for schizophrenia. Schizophrenia Treatments – Do people recover from Schizophrenia? 20% of people make a full recovery after a single episode of schizophrenia. 60% recover partly, but do not return to their premorbid level of functioning and suffer from relapses. 20% remain symptomatic, needing long term, high levels of social and medical input. People diagnosed with schizophrenia are usually treated with medication (drugs), called antipsychotics, and many people continue on this therapy for the rest of their lives. Talking therapies can help to support people living with schizophrenia. The other treatments invovled therapy and lifestyle changes. Typical antipsychotics, such as haloperidol, have been used to treat people with schizophrenia for over forty years. These work for 7 of out 10 people, but they may not treat all the symptoms of schizophrenia. People often find that delusions and hallucinations are reduced, but that cognitive problems – such as difficulty making decisions and remembering things – remain. Typical antipsychotics can cause unpleasant movement problems and other distressing side effects. Atypical antipsychotics (such as clozapine, risperidone, quetiapine and olanzapine) are newer drugs used for schizophrenia. These act in different ways to the older antipsychotics, and are less likely to cause the same unpleasant side-effects. However they do have different side effects of their own. Schizophrenia has many different forms and everyone responds to treatment differently. There are many different antipsychotics available – if one doesn’t work for you, there may be another one that does You may need to try a few medications before you find the one that suits you. If you are having problems with your medication, or if you are having unpleasant or worrying side effects, speak to your doctor nurse or key worker. They can advise you on the implications of continuing or stopping your medication, and may be able to find a drug that suits you better. Antipsychotic drugs can take up to 3 months to work. If you do not feel any better after 3 months, ask your GP or psychiatrist if you can try another medication. Compulsory treatment is not a routine part of the lives of most people with schizophrenia, although this may change with the current review of the Mental Health Act. In the UK, people with schizophrenia are usually treated according to the Care Plan Approach. Your care plan will include details of your treatment, your key worker and others involved in your care. In the unlikely situation that you do not comply with your care plan and you are considered by several mental health professionals to be a danger to yourself or to others, you may be admitted to hospital for assessment and/or treatment without your consent. It is called sectioning, because these legal powers are given in a ‘section’ of the Mental Health Act. Talking therapies, such as counselling, can help people with schizophrenia live with their condition and deal with difficulties arising from their illness, such as family or relationship problems. Some mental health services offer help for the whole family, such as family therapy. This can help families adjust to changes in their loved one and in their own lives, by helping them to understand the condition and its treatment. Talking therapies may be available on the NHS in your area, but they are in short supply, and what is available varies across the country. If you are interested in these therapies, ask your GP, psychiatrist or nurse. Who are the people involved in treatment? You will be given a key worker who is the member of this team (often a social worker or CPN, but could be another professional). They will have most contact with you. If you’re worried about your treatment, how you feel or you have any questions, your key worker is the best person to contact. The mental health team will meet with you about every three to six months to discuss how you are, and to decide on any changes in your treatment and care. The key worker is also a useful person for the family. They can help the family to recognize early on if their relative may be getting ill again, and can help them to prepare for some of the changes that may occur as a result of caring for someone with schizophrenia. Rapid intervention lessens the chances that early prodromal (onset) symptoms will lead to full-blown schizophrenia, but Intervening clinicians must also consider the ethical ramifications of labeling patients with a mental illness that they may never develop, Dr. Marvin Herz said at the annual meeting of the American Psychiatric Association. Studies in populations as large as 35,000 persons have shown that active identification of patients with early prodromal symptoms can cut the annual incidence of schizophrenia from 7.4/11000 to 0.75/11000 – a drop of almost 90%. But the downside of such interventions is that they are plagued by false positives. Many patients who show early prodromal symptoms -including memory deficits, hallucinations, or feelings of impending doom – never go on to develop schizophrenia at all. The price of treating such patients is more than financial. The stress and demoralization of being labeled schizophrenic or pre-schizophrenic is a huge burden to bear in a society in which the stigma of mental illness remains strong. “Too many clinicians allow patients to remain psychotic for too long [before treating]. But early treatment in inappropriate patients [also] is a problem. We don’t want to be treating false positives,” said Dr. Herz of the University of Rochester in New York. Clinicians in the Rochester schizophrenia study group emphasize to patients that the long-term course of their condition is impossible to predict. They also stress the fact that early symptoms are not a death sentence; patients with symptoms actually appear to have significant control over their chances of a first break. Early, consistent intervention with medications is key. Too often patients are treated with intermittent antipsychotic medications or are even left on a “wait-and-see” program with no drugs, Dr. Herz said. But unlike patients in full-blown schizophrenia, those with prodromal symptoms can often look forward to getting off of their medications after a year free of symptoms. The prospect of discontinuing drugs can be reassuring and may enhance medication compliance. “I would take them off but monitor them closely for prodromal symptoms,” Dr. Herz said. Patients also can be educated on the role of psychological stress in precipitating symptoms and schizophrenic breaks. Programs at the University of Rochester have taught interpersonal coping skills and stress management to patients as a means of preventing first breaks qr relapses. “If they have good social skills and good support, they can go back to a stable state”, Dr. Herz said. And while not all cases of psychosis can be prevented, shortening the length of untreated psychosis may lighten the load of schizophrenia for those patients who do move on to full-blown disease. According to Dr. Herz, studies have shown that longer duration’s of undiagnosed psychosis correlate significantly with poorer outcomes. Patients who do go on to first-break illness do better if their initial symptoms have not been left to linger before medications are tried. Longer duration’s of untreated psychosis in those patients are associated with lower remission rates and a higher likelihood of relapse. “Early intervention should be applied in every phase of schizophrenia,” Dr. Herz said. What can I do to help myself (or a family/friend) with Schizophrenia? Identify which situations or events make you feel unwell or particularly stressed (such as overworking or arguments with your partner) and try to avoid these ‘triggers’. Try to reduce stress or worry in your life, generally. Try to recognize early signs that you are becoming unwell – if you get help you may be able to avoid a severe bout of illness. Be aware that your friends or family may notice the signs first, even if you feel better than ever. Find a member of the mental health team you can talk to. They should be able to help if you have any worries about your health or treatment. They may also notice any signs of illness before it develops. Avoid illegal drugs and heavy drinking. You may feel better in the short term, but they can make symptoms worse and can affect your medication and cause a relapse of your illness. Take care of your physical health – eat well, exercise regularly, and try to get enough sleep. If you cannot work, find out which benefits you and your carer, if you have one, are entitled to. Take your medication according to the instructions from your doctor.